Initial concept design developed at creative development workshop. 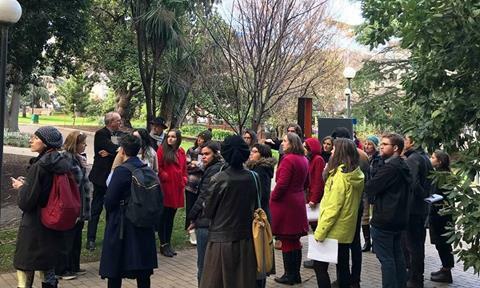 Final design to be confirmed, in consultation with Jefa Greenaway and The University of Melbourne's New Student Precinct. Credit: Lachy Mcmullin (in collaboration with the THRIVE/CAUL team). 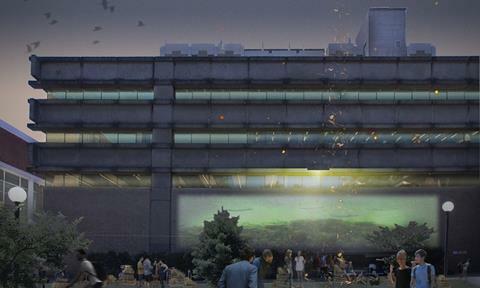 Welcome to the first edition of The Living Pavilion’s e-newsletter. The Living Pavilion is a collaboration between the Clean Air and Urban Landscapes Hub, Thrive Research Hub, The Living Stage, AILA Vic and The University of Melbourne’s New Student Precinct. 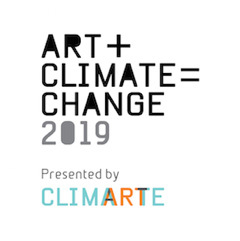 It will be a temporary event space for CLIMARTE’s ‘ART+CLIMATE=CHANGE 2019’ festival (23rd April - 19th May 2019). First draft concepts, final design TBC. 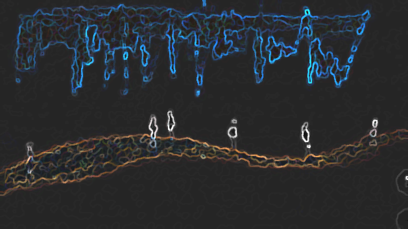 Credit: Rob Snelling (in collaboration with THRIVE/CAUL team). 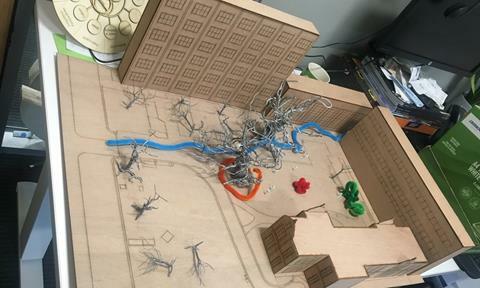 The project is envisioned as a recyclable, biodegradable, edible and biodiverse event space that celebrates Indigenous knowledge systems, ecological science and sustainable design through participatory arts practice. It is also a key research and knowledge translation project. 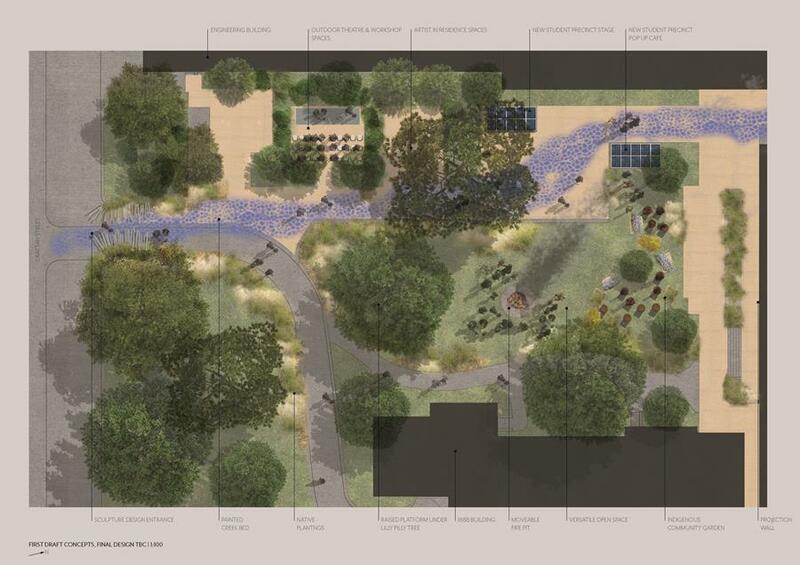 We will be using The Living Pavilion as a “Living Lab” - to test, monitor and engage students, stakeholders and the general community in a range of urban greening, biodiversity, place making, social science, art and design research. 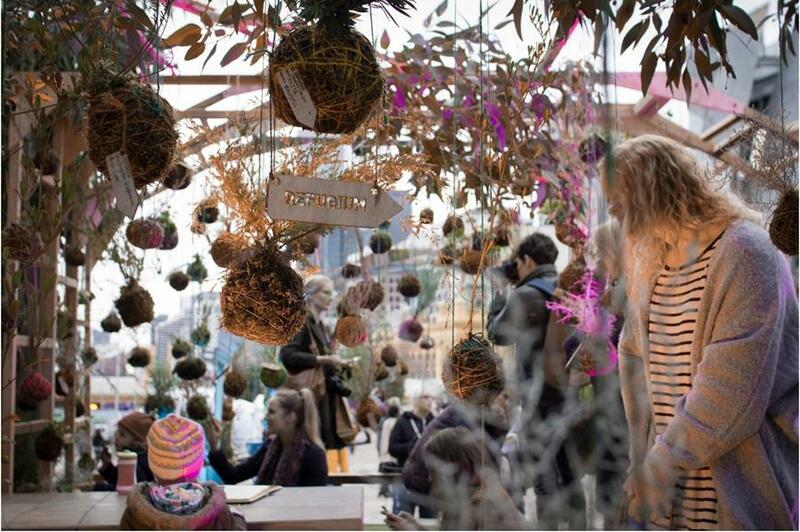 Refugium @ Federation Square, arts-science collaboration between THRIVE and CAUL Hubs. Design by Tanja Beer. 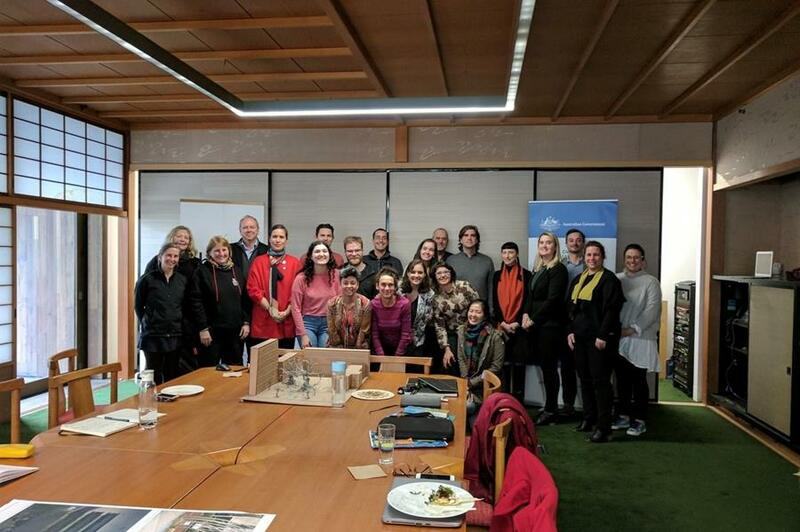 On 9-11 July we hosted an intensive creative development process to co-design initial design concepts and programming opportunities for The Living Pavilion with key partners, city practitioners, community members and students. Thank you to everyone to took part in or provided input for these sessions, they were a truly amazing few days of inspiration! The core design team and project partners at the presentation on Wednesday. We will also be getting on with planting, research plans and program ideas - with an anticipated formal launch date in early October. 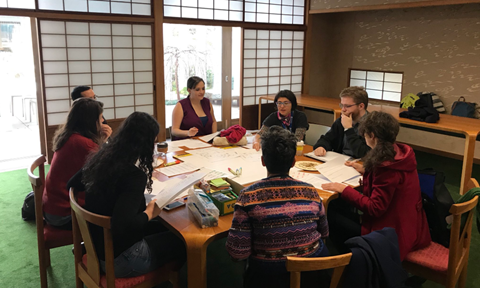 We will provide a monthly progress update via this Newsletter, including opportunities to get involved as the plans unfold. 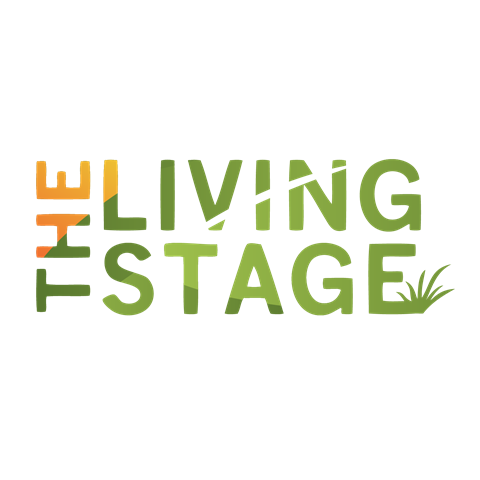 You can also follow the Instagram account @TheLivingPavilion or Twitter account @TheLivingStage. If you would like to get more formally involved with programming, design or research opportunities please get in touch via contacts below. 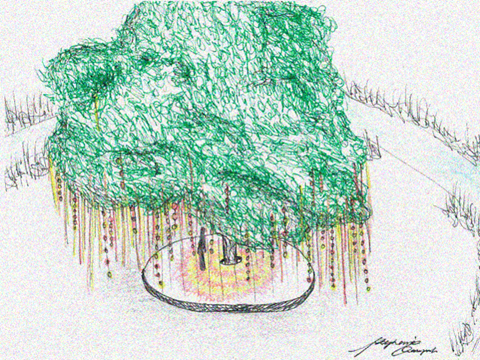 Thank you again for your interest and contribution to The Living Pavilion. First draft projection wall concept. Credit: Lachy Mcmullin (in collaboration with the THRIVE/CAUL team). Site tour during creative development. Concept sketch by Steph Beaupark. Concept sketch by Tanja Beer. 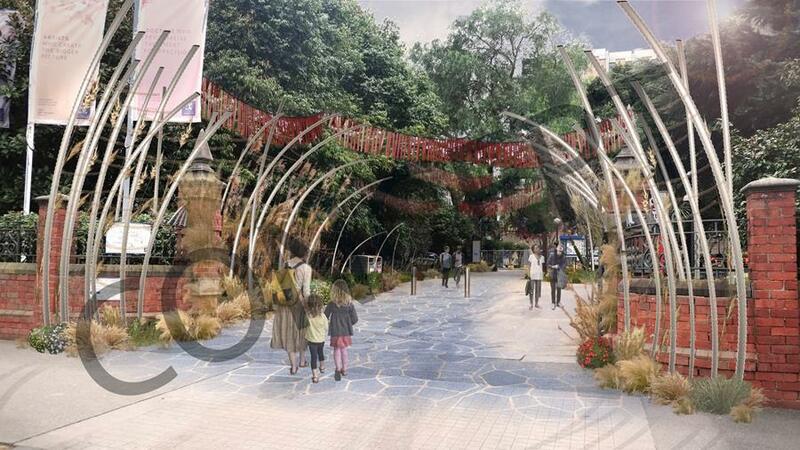 We acknowledge the Traditional Owners of the land of The Living Pavilion’s work, the Wurundjeri people of the Kulin Nations, and pay our respects to the Elders both past and present.